The second bit of DLC for Halo Wars 2 arrived last week. Similar to the first, which added a new USMC leader and a few units to the game, this content expands the roster of leaders available to you in the Blitz and Firefight (and other multiplayer) modes with a new leader and a few new units. 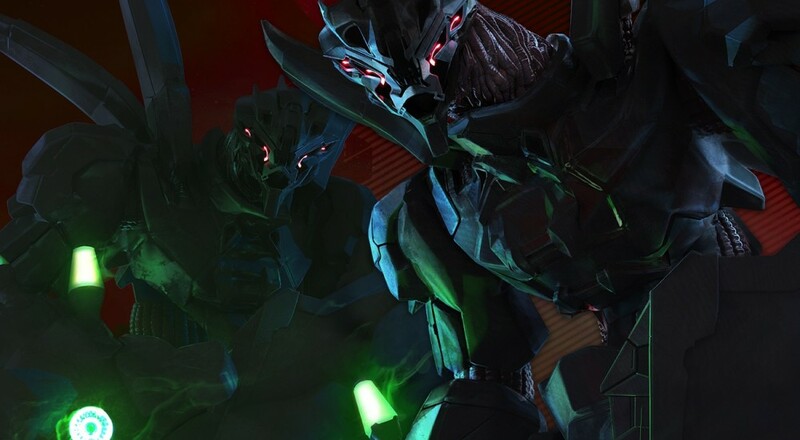 "Colony" is a pair of Hunter enemies (each of which, apparently, is made up of some kind of alien space worm called Lekgolo that have a collective intelligence) and works for the Banished, i.e., Atriox's forces. All I can say to that is, "huh; space worms." Anyways, Colony's focus is on commanding and aiding other Lekgolo units, like the new hulking Goliath or the battle seasoned Scarred Hunters, by passively healing them with its "Combat Repair" ability. All together, the "Colony" DLC includes the new Colony leader, eight new Blitz cards, and five Blitz Packs for Colony's exclusive cards. While the cards themselves may be limited to Blitz mode, the leader and units are available in other modes, like Firefight. The "Colony" DLC is included automatically as part of the Season Pass, or is available for sale for $5.99.